PLEASE review and sign this petition – takes only 30 seconds. Here are some popular natural strategies to battle ADHD. I’ve seen the most success with exercise (right before a task requiring sustained attention), consistent routine, and a distraction-free environment. Everything else is not directly supported by the research but can be quite effective for any given child, which would include experimenting with supplements (under the guidance of pediatrician), dietary restrictions (removing red dye…), and of course proper nutrition is vital. Biofeedback is not robustly supported by the research but, again, can be effective for any given child. Bullying is an all too common issue for children with autism. Tell us your story about bullying and way you found to improve the situation. I’d love to share your experiences and ideas. 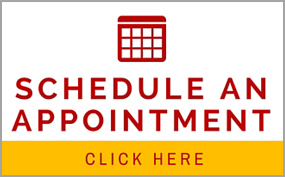 You can respond at DoctorC@AutismCenterofPittsburgh.com. Thank you. I’ll bet you did not know that upwards of 50% of people do not take their medication as prescribed, and in a recent study upwards of 25% of people did not even pick-up their medication at the pharmacy. It’s vital for medication to not be prescribed for more than one dose per day (compliance drops dramatically if needs to be taken more than once per day) and, of course, best to use medication dispensers that help to alert if a dose is missed. Read more on this topic: Click Here. Treating Anxiety and Obsessions: Nothing to Fear but Fear itself? Y’ know, Franklin Delano Roosevelt may have been on to something. You see, anxiety is considered to be based in fear and, more often than not, there really is nothing to fear but the fear itself. Anxiety can manifest in worry, obsession, irrational fears (phobias), compulsive behavior, school avoidance, fear of sleeping alone, and social withdrawal. Anxiety disorders can stand alone, but often accompany depression, autism, bipolar, and trauma. Not sure I understand the ‘nothing to fear’ part? Yea, I suppose that can be somewhat confusing. The idea is that anxiety is the great con artist; it cons people into believing that something is legitimately worrisome when it’s really not. Of course, sometimes we’re worried about real-life and legitimate issues, but far more often that’s not the case when it comes to phobias, OCD, and similar types of fears. Rather, I see children like the two I saw last week, washing their hands over and over for fear of germs, or checking locks before bed, over and over, for fear of being robbed despite living in a safe neighborhood, the doors clearly being locked, no history of being robbed, parents being dutiful and responsible, and having two big dogs in the home. Most fears of that nature are, by their very nature, irrational, silly, and nonsensical but, by the same token, profoundly troubling and bothersome. Like I said (okay, like F.D.R. said), there’s nothing to fear but fear itself; so, first we clearly identify the enemy. I often refer to anxiety as a ‘monster’ that whispers to the child any number of anxiety-provoking things. In treatment, we help the child to bolster their reasonable and rationale thinking to help them combat those anxiety-ridden thoughts. This is especially important because children (and adults too for that matter) who struggle with anxiety often have ill-equipped platoons to do battle. Meanwhile, the ‘monster’ is well supplied with an abundance of anxiety-provoking thoughts that can leave the child feeling overwhelmed. However, by the time we’re finished in treatment, the child’s army is fully prepared to counter those anxiety-provoking thoughts with self-soothing reminders that, for example, they’re safe, competent to problem-solve, and that whatever bad thing they think is going to happen, in reality, is extraordinarily unlikely to occur and not worth fussing about. Yes, there is more. In some cases, it’s also vital to have the child actually be exposed to whatever scares them. This could include, for example, a spider, elevator, sleeping alone in their own bed, dirt (and not washing their hands right away), or whatever else. The exposure may be all-at-once, or gradual. At the same time, they are taught to use soothing self-talk to calm themselves and recognize that they’re going to be okay and that, really, there is nothing to fear. We also use deep breathing, imagery, reassurance, and ongoing parental support to ensure success. In those instances that the child is too overwhelmed with anxiety to allow for any exposure, there are medications that can be quite helpful. Yes, it’s super helpful, with over 80% success rates. It’s used with phobias, OCD, generalized anxiety, isolated obsessions and worries, separation anxiety, fears of sleeping alone, social anxieties including public speaking, and frankly anything related to any anxiety or fear. If you’re interested in more technical terminology, the approach is referred to as exposure and response prevention. If you want more information about these techniques, email me at doctorC@autismcenterofpittsburgh.com. Here’s a help post on the merits of autism-specific schools. Also, check-out our earlier post at the Autism Center of Pittsburgh’s Blog regarding choosing the right school for your child. A.J. Paron-Wildes’ home, a walk-out rambler in suburban Oak Park Heights, Minn., is a study in calm – all clean, uncluttered spaces and earthy, neutral hues that echo the autumn leaves framing the view of the St. Croix River. On an autumn afternoon, daughter Eva, 6, is having an after-school snack, while son Devin, 19, sketches intently, seated at the studio desk in his orderly bedroom. This peaceful environment is entirely by design. When you have child who has autism, calm is a precious commodity – and Paron-Wildes has become an expert at creating it, starting in her own home. The Holidays are just getting warmed up, and I’m already hearing from parents about how their kiddos are having a tough time adjusting. This can be a difficult time, with a noted increase in a child’s emotional and behavioral challenges, especially if your child is on the autism spectrum. Keep in mind that kiddos with autism tend to have a hard time especially with two situations; changes in routine and excessive stimulation. Unfortunately, the Holiday season is plum-full of both of these things, so you gotta plan in advance to avoid your child feeling stressed and overwhelmed. It can be helpful to provide ample warning and preparation for the event. However, for some kiddo’s it’s best to not inform them ahead of time, until just before the event, or they’ll obsesses and fuss. It’s a judgment-call based on your own knowledge of your child. If possible, beforehand, visit the place and people where the event will take place to promote some degree of familiarity. Make sure your child is aware of who will be there, and what to expect. It may be helpful to prepare some of the foods, ahead of time, that will be served to determine if your child is going to indulge, or fuss, and to promote familiarity. Ultimately, it may be best to either bring your child’s favorite foods, or have a meal ahead of time. It can also be helpful to educate some of the kids, friends, and relatives regarding your child’s tendencies and how to respond to promote your child feeling at-ease. This can be especially true for age-mates who may be approaching your child to play. Ease slowly into the encounter (allow to remain on the periphery and work slowly into the mix of the gathering). Provide a clear ‘escape route’ if things get too over-stimulating. Let your child know of a quiet place for solitude (as needed). Provide familiar and fun activities to occupy your child’s time. Keep your child close to you, and familiar people. Keep close tabs on your child and intervene early, at the first signs of discomfort, to help with calming and avoiding escalations. Usually, removing your child from the room, to a calm place with some sensory-related interventions (deep pressure, massage…), is sufficient for a subsequent return to the periphery of the gathering. Headphones can also be helpful to muffle excess noise. Much of the visiting, shopping, and preparation for the Holidays requires going to places and doing things that are far outside the normal routine for your child. However, the typical strategies you use daily to assist your child with such transitions also apply to the Holidays; it’s just more intense during these special occasions. Visual cues and schedules, practicing calming techniques, and scheduling time for solitude and individual time can help with any adjustment difficulties. Also, remember that you don’t have to attend all the festivities, or stay the entire time. Moreover, sometimes it’s best to allow your kiddo to remain at home while you shop, or keep the shopping outings brief and spread over a few days instead of one, long trip that is sure to go south. Children often respond favorably to visual schedules, reminders, play-by-play updates as to what to expect next, rewards for self-control and cooperation, and electronics and related items to keep your child busy when they get bored. The goal is to make the Holiday season fun for everyone, and the extent to which your child is able to remain calm and at-ease, of course the better for you as well. I trust that these tips will help your child with the festivities of the season, but please feel free to contact me at DoctorC@autismcenterofpittsburgh.com if you have any question and I’d love to hear your thoughts and if you have other tips. I’ll pass your suggestions on to our other readers who undoubtedly will be appreciative. God bless. 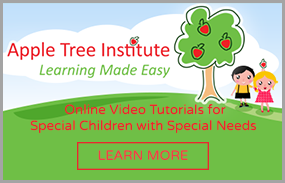 What Type Of School Is Best For My Special Needs Child? There are many school options for parents; brick-and-mortar public schools, public cyber schools, private schools, specialized alternative placements, and homeschooling to name a few. Parents are often left wondering which is the best option for their child, especially parents of children with special needs. Public school has many advantages given that, by law, the public school system must provide a “free and appropriate education”, and implement special education services if the child meets special education criteria. Public schools are largely compelled to educate no matter the condition (as opposed to expel your child), and ultimately meet your child’s needs or transition to a facility that can, and pay for it. There are situations where parents believe the public school system is failing their child, and the alternative specialized placements are not seen as appealing. Parents may then decide to cyber-school, which can be an excellent option if it’s important for your child to have an individualized environment, a more flexible daily schedule, and be able to work at their own pace. However, parents need to recognize that the “individual attention” is likely going to be provided by them (the parent); and that you may find yourself in the challenging situation of being your child’s ‘teacher’; i.e. sitting with them and providing the prompting, praising, guiding, and cajoling to get your child through their school assignments. If you have the time and gumption, then this can work, but it can be quite an undertaking. Whatever is indicated as challenging above under “The Cyber Option,” multiply that x2 for Home Schooling. 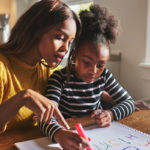 Not only is the parent compelled to provide individualized attention, the parent also must investigate, obtain, and implement the proper curriculum. Sometimes this works just fine but, again, similar with cyber-schooling, a parent serving as both ‘Mom’ (or Dad) and ‘Teacher’ can be tough for both Mom and the child. A Private School can be a wonderful option. Private schools typically offer smaller classrooms, sometimes are more flexible than public schools in modifying structure, and teachers are often very accommodating. Moreover, parents often appreciate the spiritual elements inherent in such a setting. However, private schools are not legally compelled to educate your child and can expel if proving to be too difficult, and they are not required to provide ‘special education’ services. Also, at times such schools have the attitude of ‘our way or the highway’, which may not work so well for special needs children. What about specialized or typical preschools? Children with developmental issues often thrive in specialized preschools such as through DART/IU programs. However, parents often appreciate their child being in a regular preschool setting so as to model after neuro-typical kiddo’s language and play skills, but have concern that their child may not do well with 15-20 other kids in that typical preschool class. Deciding between the two school options can be quite a dilemma, which is often resolved by doing both. In that regard, enrolling part-time in a specialized preschool, and part-time in a typical preschool but with individualized attention such as from Therapeutic Staff Support. In this way, the child gets the best of both worlds. Of course, there is no singular answer to this question; it depends on your child, the situation, and the time-frame. In terms of time-frame, I often see parents of a child with an anxiety disorder, for example, ultimately choosing to home or cyber-school their child due to ongoing anxiety and school-refusal. These children often subsequently perform well in the home setting, but the problem is that their anxiety disorder is often not addressed given that the standard mode of treatment for anxiety is having the child confront their fear (go to school). Nevertheless, the cyber or home-schooling experience can be advantageous for a few semesters as the child receives therapy and bolsters their coping mechanisms. However, a return to a more traditional school setting, at some point, would be optimal. In the same sense, many children with special needs flourish in smaller private school settings and home/cyber-school situations and parents relish the opportunity to assist in meeting their child’s educational needs, and have no reservations about the time and energy if it’s seen as beneficial. In those situations, everyone wins. It’s important, however, that parents know ‘what they are getting themselves into’ prior to undertaking the endeavor to avoid any regrets. It’s also vital to thoroughly interview school officials to be sure exactly and precisely what is expected, and what will be provided to meet your child’s needs. It’s also helpful to observe classrooms when possible. These decisions are often complex and multi-faceted; I invite parents to contact me at DoctorC@AutismCenterofPittsburgh.com to discuss their child and help them with such decision-making. God bless you in your efforts to meet your child’s needs. Yes, it’s tough to even think about the Fall, but nevertheless it’s time to prepare for the ‘back to the school’ routine. Need I mention the difference between summer and school-year routine? If you start about 2-3 weeks out, it’s much easier to ship your kids into shape. Otherwise, it’s a culture-shock for your child, and not too pleasant for you either. 1. Begin slowly adjusting routines for earlier bedtime. 2. Incorporate lengthier study and quiet-reading sessions throughout the day and week. This could include anything even remotely academic. 3. Visit the school playground more frequently to promote your child becoming more comfortable with being at school, and on the school grounds. 4. Arrange play-dates with school friends/acquaintances not seen for most of the summer, especially those kids who will be in your child’s class or grade. 5. If you can arrange a visit to the classroom, and meet the teacher, so much the better. 6. It can be helpful to color-code school supplies (notebooks, file-folders…). Integrate material-color with picture schedule. 7. Purchase school clothes early, wash them a few times, cut-off tags, and make sure your child is comfortable with them well in advance. 8. Pick-out a “cool” outfit for the first day and get a fresh haircut (first impressions are important). 9. Use picture schedules and social stories to prepare for the first day. 10. Prepare school with emergency contacts and any dietary issues. 11. Prepare the teacher, aide, Guidance Counselor, ‘specials’ teachers, cafeteria workers, and anybody else who will listen for what to expect, and how to effectively intervene if necessary. 12. Don’t forget to say a prayer with your kids before they venture off to school; they find that comforting and reassuring. If you have any other tips, please comment; it will be appreciated. Comment at jcarosso@cpcwecare.com. God bless and enjoy the rest of the summer!